Many thanks to everyone for your interest and comments since I started last year, and welcome to anyone visiting here for the first time. It’s New Year’s Day, you haven’t got time to read, and nor have I to write much. This is a short post to share some images of flowers taken over the last few days, to show there is life out there in the middle of winter – helped by a recent mild spell with some sunny days when the temperature reached 16 degrees. And of course I’m also showing off my new camera and lens – the title isn’t a typo. 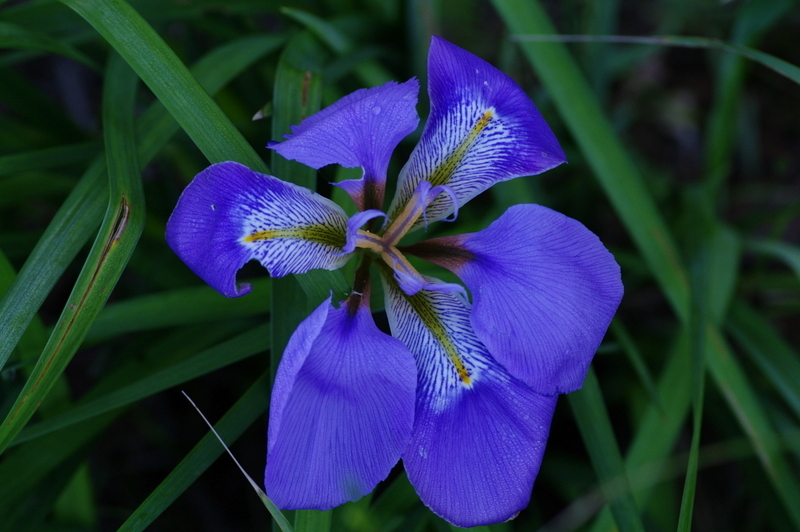 The Algerian Iris (I. unguicularis) – originally from North Africa but grown widely in gardens, and the first Iris to flower. This was in some waste ground next to an electricity substation – it was probably planted there, and has spread and settled. 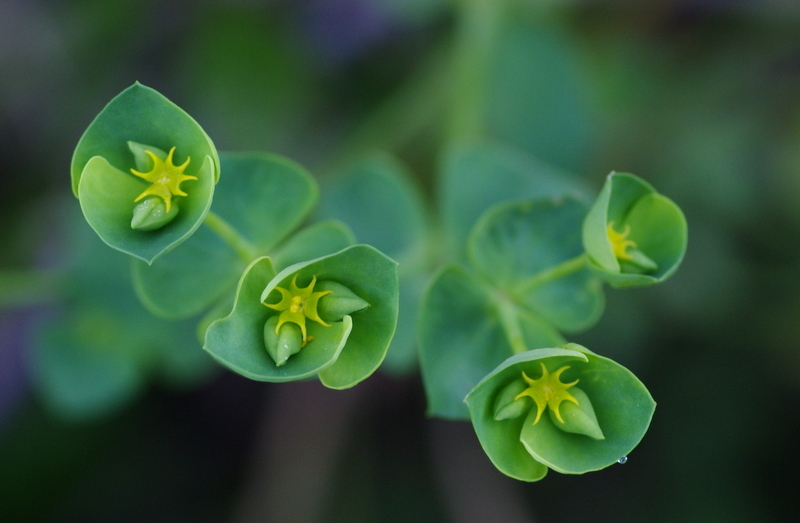 It’s a very low-growing species, and my flower book says the ovary is at or below ground level – amazing, I’ll have to look closer next time. 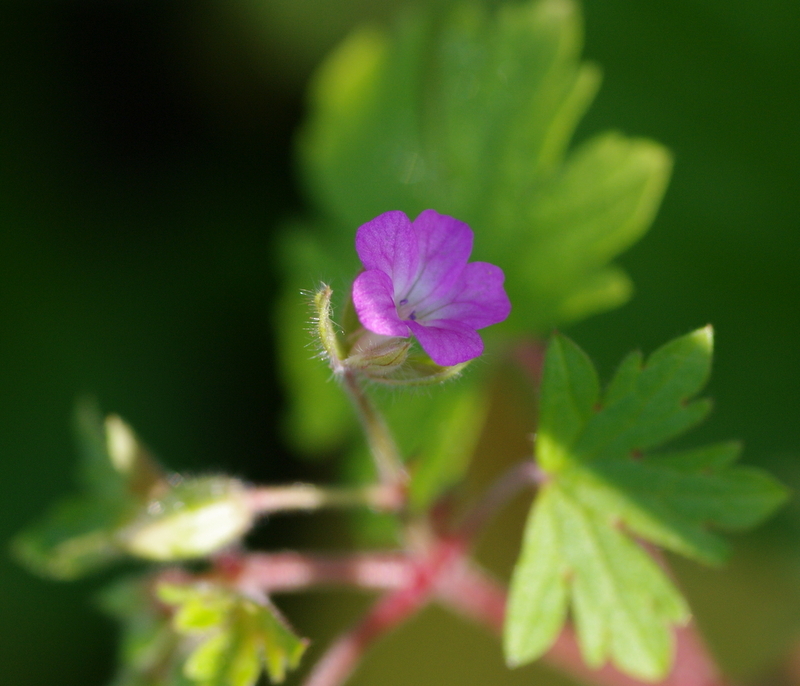 I think this is the round-leafed crane’s bill – all the little geraniums look very similar to me. If I keep at this, I hope I’ll get better at telling them apart. 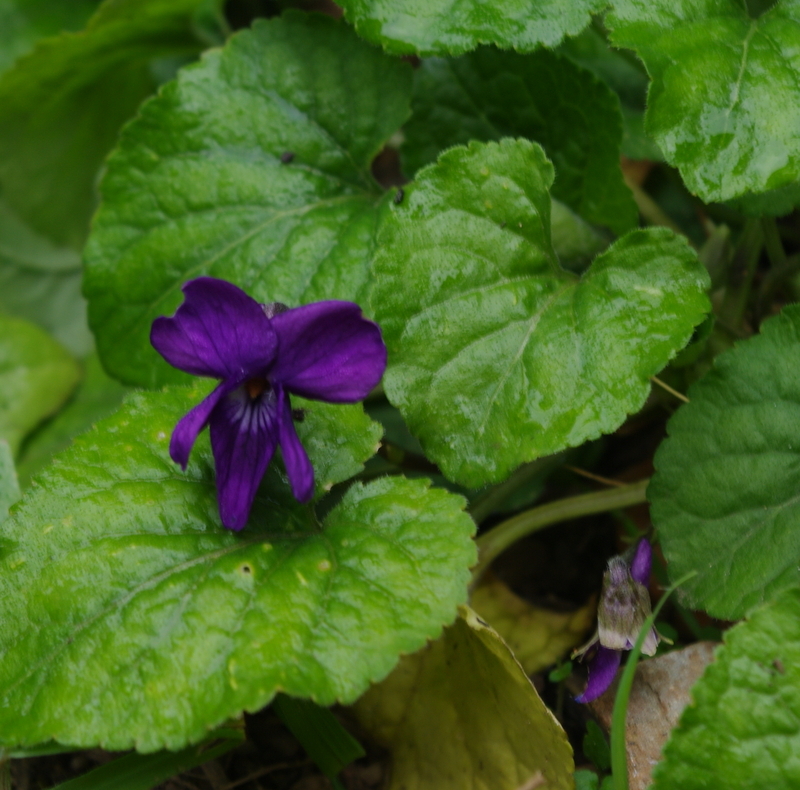 The first violet I’ve seen, on the path just by our garden – had to lie flat on the ground to take this. The Latin name is a bit confusing, but there is a white subspecies too (scotophylla) , found in the Balkans. Resolutions: To work on a comparison of the various spurges, as I’ve said. And other topics I’ve got in mind include something about the social life of plants (yes, really), more on the beach bums of the plant world who survive on the sand dunes, the wonderful plants of the garrigue, a botanic garden mystery ( a Kewdunnit) – and much more. Hope to see you again many more times in 2013. This tiny, beautiful little plant appears each year in unexpected places in our garden, germinating from seed scattered from who knows where. 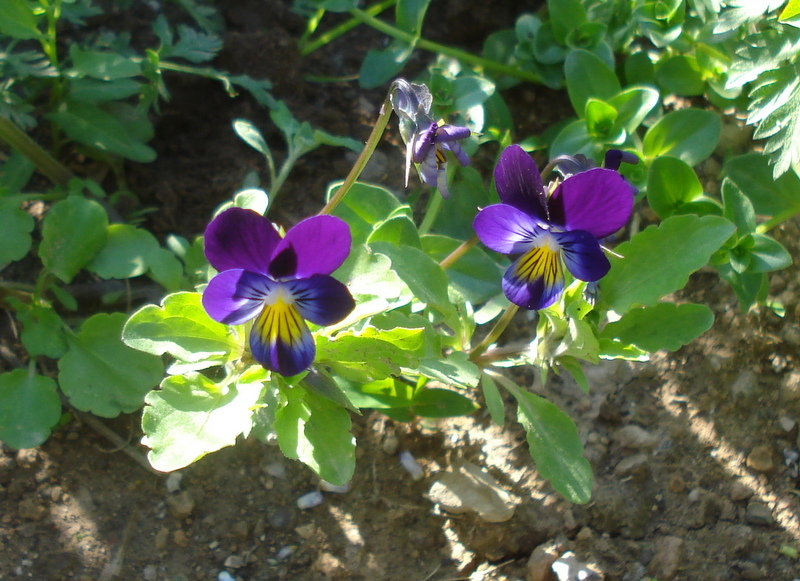 It is also known as heartsease, a lovely name perhaps due to its pleasant perfume, or maybe to the arrangement of petals, described by William Turner in 1848 as ‘Two faces in a hoode’, which led to the flower being seen as a symbol of love. I have, also, reason to believe that humble-bees are indispensable to the fertilisation of the heartsease (Viola tricolor), for other bees do not visit this flower….Hence I have very little doubt, that if the whole genus of humble-bees became extinct or very rare in England, the heartsease and red clover would become very rare or wholly disappear. The number of humble-bees in any district depends in a great degree on the number of field-mice, which destroy their combs and nests….Now the number of mice is largely dependent, as everyone knows, on the number of cats….Hence it is quite credible that the presence of a feline animal in large numbers might determine, through the intervention first of mice and then of bees, the frequency of certain flowers in that district! In some cases it can be shown that widely-different checks act on the same species in different districts. When we look at the plants and bushes clothing an entangled bank, we are tempted to attribute their proportional numbers and kinds to what we call chance. But how false a view is this! Darwin’s great work was published in 1859, before the word ‘ecology’ even existed: it was coined in 1866 by one of Darwin’s greatest fans, the dashing German biologist Ernst Haeckel. Clearly, however, Darwin’s vast knowledge as a naturalist gave him an awareness of the interdependence of all living things, plants and animals, and of their environments. There’s an interesting series of radio programmes on Darwin, originally broadcast to celebrate his bicentenary in 2009, available for listening here for anyone who wants an alternative to reading his magnum opus. Note: From noise to aeronautics: for more on how Darwin’s term ’humblebee’ was replaced by today’s word ‘bumblebee’ see here.